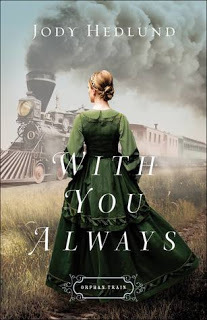 Book 3 in the Orphan Train Series concludes with Sophie's story. 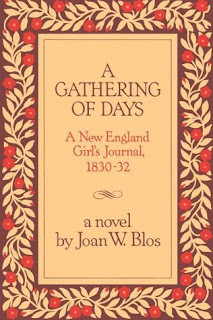 Introduced in book 1 - With You Always along with her sisters Marianne and Elise, it's now time to hear from Sophie. While this book can work as a standalone I highly recommend reading this series in order - things will fit together nicely and make more sense. The author definitely captured the era with this series and Searching for You also highlights the struggles, both physical, mental and spiritual in what farmers went through. It's a lot of work just to survive, more so when running from the past with no idea where to head. 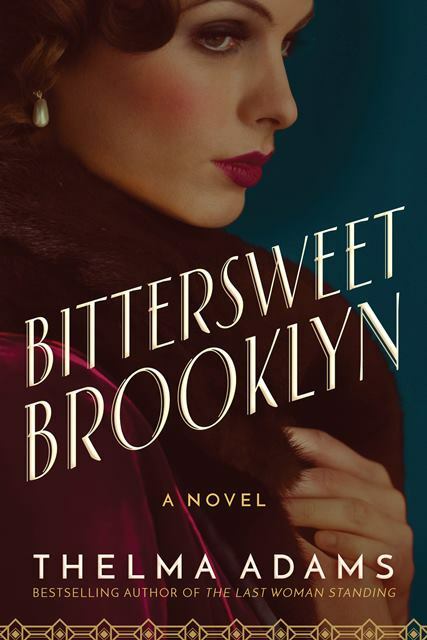 I liked Sophie, the youngest of the 3 sisters she was easily hurt and left out which took her to New York City. A fierce determination to take care of Olivia and Nicholas (on her own) and trouble in the City sent her running with some tough decisions to be made. It wasn't just Sophie's story here but also Reinhold who appears in the 2 previous books, which rounded out this book nicely. The conclusion was fitting, wrapping up loose ends. 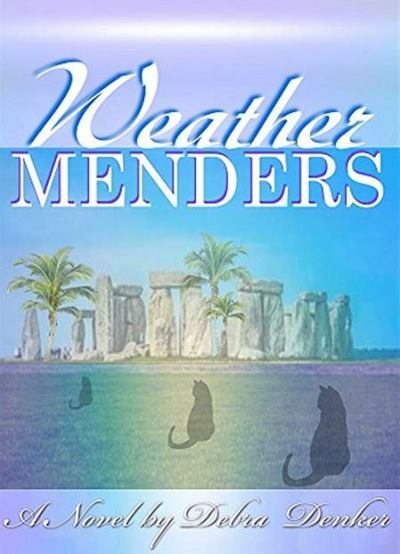 This was my first time reading Jody Hedlund, I will continue with more of her books, I like her writing style, attention to detail and ability to put me right in the setting. Thank you to the publisher for an advanced copy (via Netgalley). This review might be more of a spotlight, I am somewhat at a loss of what to say here. I probably shouldn't say that the ending is one that will stay with me for a long time (kinda like My Sister's Keeper by Jodi Picoult, but in that case, I wanted to throw the book across the room, here I just sat taken totally my surprise). 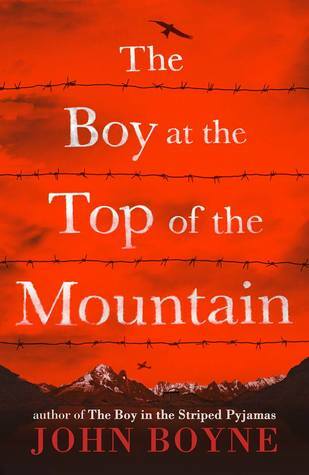 I read the author's book The Boy at the Top of the Mountain which made me a little apprehensive of starting this one. 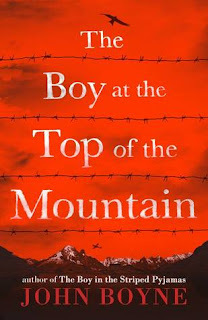 Where the Mountain had a bit more depth and drama into what was taking place Striped Pajamas had that air of mystery for anyone not familiar with the time, which would make sense for younger readers. While some may find the writing juvenile and simple one must remember the target audience is children, with a subject matter that opens the door for discussion and a chance to talk about this dark period in history, which personally I feel by parent (vs teacher) who really knows what the child can handle at their age. 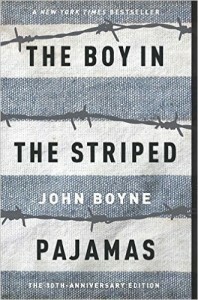 I will continue to read Boyne books, I like his writing style, his uniqueness and how he isn’t afraid to cross the line. Naomi lives in Northern Alberta. Her love for travel means her suitcase is always on standby while she awaits her next plane ticket and adventure. 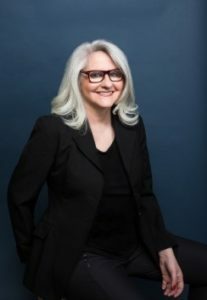 Her love for history and the Deep South is driven by the several years she spent as a child living in a Tennessee plantation house. She comes from a family of six sisters. 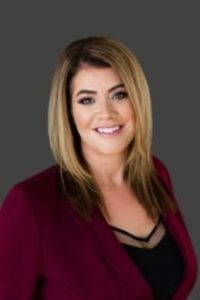 She married her high school sweetheart and has two teenage children and two dogs named Ginger and Snaps. Creativity and passion are the focus of her life. 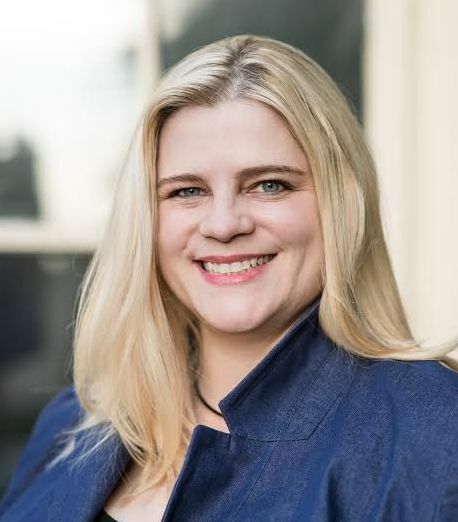 Apart from writing fiction, her interests include interior design, cooking new recipes, throwing lavish dinner parties, movies, health, and fitness. For more information, please visit Naomi Finley's website. 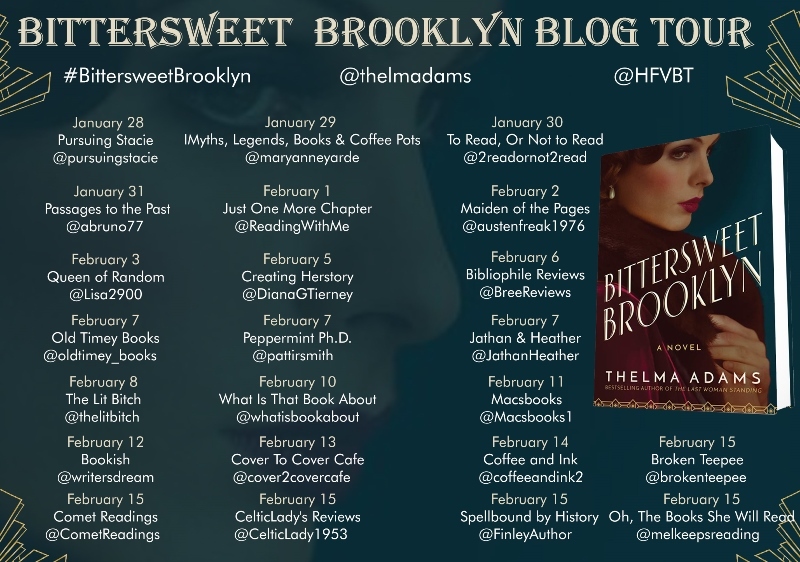 You can also find her on Facebook, Twitter, Instagram, and Goodreads. During the Blog Tour we will be giving a paperback copy of A Guardian of Slaves! This is the 1980 John Newbery Medal Winner. It’s a short little book coming in at 144 pages written in diary/journal style. It spans about 15 months in the life of Catherine Hall. There are many changes and heartbreak that she goes through and while some of the entries are short other ones are longer at times I got a sense of her frame of mind as she deals with everything. This wasn’t a book that kept me glued to the pages, for a Medal Winner my expectations might have been elevated but this one fell flat for me. I didn’t connect with Catharine and a month after finishing it I struggle to remember all but a few pieces. The time period of 1830-1832 sees much happening in that area and I would have loved to see more. When we share our favourite titles, we can’t help but share ourselves as well. Shakespeare said the eyes are the windows to the soul, but we readers know one’s bookshelves feel just as much. This is a delightful little book that will reassure readers they are not alone in their reading lifestyle. 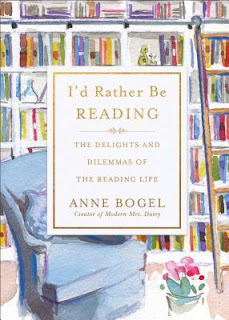 It’s a small book from author Ann Bogel who also hosts a blog (The Modern Mrs. Darcy) and podcast (What should I read next?). I didn’t read this all in one sitting but rather it’s a chapter a day type of book. There are some things that are repeated, there are new authors and books to discover. It’s the history of Anne's love and relationship with books and reading. People read for a multiplicity of reasons. Nearly forty years in, I can tell you why I inhale books like oxygen: I’m grateful for my one life, but I’d prefer to live a thousand — and my favorite books allow me to experience more on the page than I ever could in my actual life. A fun little book, a perfect gift for any reader or yourself. and betrayal, from which he may never be able to escape. 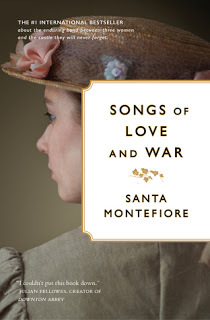 Lately, I have decided to stay away from books pertaining to World War I & 2, just to give my mind and emotions a break. The Boy at the Top of the Mountain is obviously an exception. In an endeavor to clear my Netgalley backlog, I found this one and dove right in without reading the blurb. 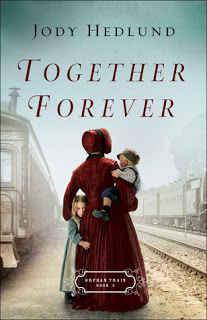 Being there meant I wanted to read it and my memory isn’t always so good - this was released in 2015, my apologies to the author, publisher, and Netgalley for the late review. Marked as children’s fiction coming in at approximately 224 pages I was immediately drawn in by the plight of poor little Pierrot. He’s had a hard life and it only gets worse as this story begins in 1935. I finished this book last week and I am still thinking about it. The author has written a story where I didn’t anticipate the ride I would be taken on (remember I didn't read the blurb). Time elapses over the years as Pierrot grows into an inquisitive boy/teen searching for a place to belong. From the book blurb, you can see what direction he takes, I was taken by surprise at some of the things that took place. Like I said this is children’s HF but I feel it has mature scenes of violence that might offend some. It’s a rating I can understand as some YA might find the first half too juvenile to continue. 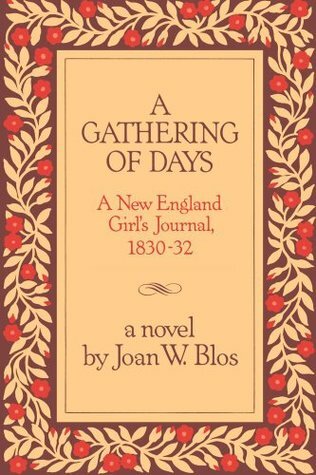 This is my first book by John Boyle, I was impressed with his writing style how he drew me in and how he depicted the times, bringing the emotion this time period evokes. This is the story with many layers some of which include grief, bullying, loneliness, friendship and searching for oneself - all packed into 224 pages, well done John Boyne! Definitely an author I will read more of. 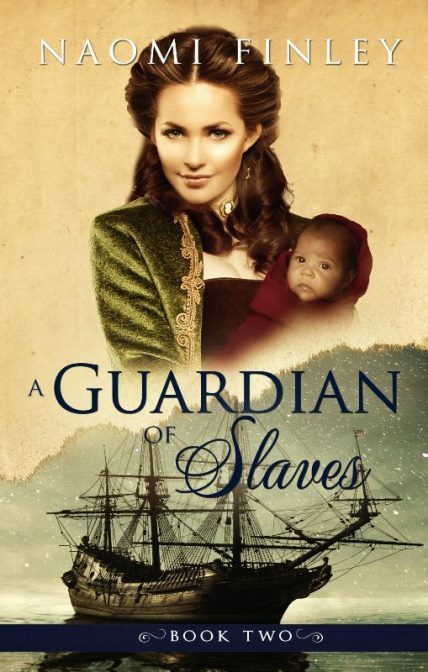 Gracie Burton is a grandmother, living quietly in Devon. She has rarely left the village over the past forty years. 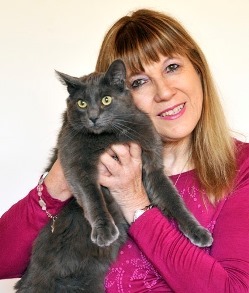 Her daughter, Carina, is immensely high-powered with her own fast-paced business in London. She has very little time for her 17-year-old daughter, Anastasia, away at boarding school, and even less time for her aging mother. In many ways, the three of them barely know each other. Then Gracie stumbles upon an advertisement for a weeklong cookery course in the heart of the Tuscan countryside. She cannot resist and ploughs her life savings into the trip. Carina and Anastasia accompany her. They have no idea why Gracie has been drawn to this venture. They have no sense of her past; she has never spoken about it. They have no idea that Gracie is harboring the secret of an extraordinary life that preceded them . . . 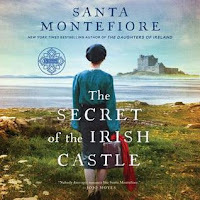 I became a fan of the Santa Montefiore with her Secrets of the Lighthouse and the Deverill Chronciles. Those books were an audio read for me of which I thoroughly enjoyed. Last year while browsing through Bookdepository I stumbled across this book, The Temptation of Gracie and ordered it not realizing that it would not be released in Canada/US for another year. 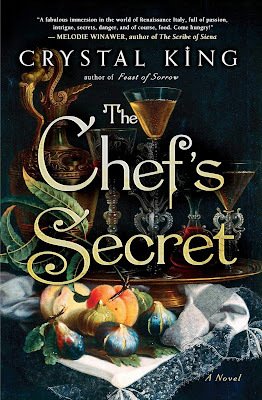 Once I spotted it on NetGalley I grabbed my copy, which had gotten buried under other books, and dove right in. I was drawn in right away and one of the things that I really really loved was the blurb. As you can read above there is no hint, no clue at all as to what happened in Gracie's past. The secret of an extraordinary life that she lived was hidden and I loved that. Sometimes I find blurbs give too much information and at times can spoil the ride (which is why I rarely read them or skim the first paragraph or so) in this case, I found the blurb perfect. It doesn’t take long to get a sense of who Gracie was, where she came from what her life is like now. 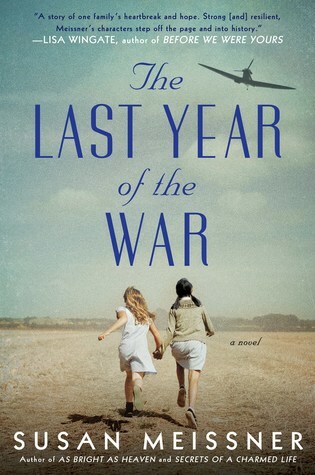 Traveling back in time to when she is in her teen years her journey is interesting and takes place in a country that I absolutely love, Italy. With rich detail, the author transported me to the Tuscan countryside, to the vineyards, cooking, pasta and more. The Temptation of Gracie is a story of relationships, trust and healing. How life can change in a second or evolve over the course of a week. 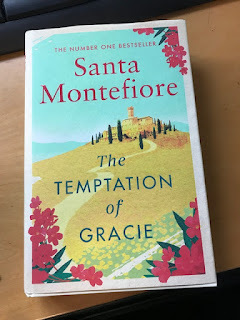 While there were a couple little things that rubbed me the wrong way it wasn’t enough to affect my enjoyment of this book if anything it’s made me very anxious for my trip to Italy in September and to read more books set in Italy. Santa Montefiore is an author I highly recommend, maybe a little more on the romance side than I usually read but it balances out nicely with the historical aspects. If you haven’t read her Deverill Chronicles yet, I recommend it. Click on the covers below to take you to my respective reviews. This book was from my personal library and part of my reading off my shelf challenge. BROKEN TRAIL is the story a thirteen-year-old white boy, the son of United Empire Loyalists, who has been captured and adopted by the Oneida people. Striving to find his vision oki that will guide him in his quest to become a warrior, Broken Trail disavows his white heritage--he considers himself Oneida. But everything changes when Broken Trail, alone in the woods on his vision quest, is mistakenly shot by a redcoat soldier. 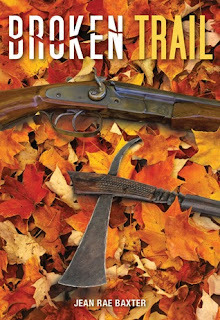 There is a trilogy that Jean Rae Baxter has written and while Broken Trail pertains to one of the characters introduced in The Way Lies North (book 1), it doesn't appear to be part of the trilogy. I find myself really enjoying these books, it’s the kind of book I wish was around when I was a kid and could begin my love of history back then. With names I remember from history class and in the area that I live makes it all the more enticing for me, reading about things that happened in my backyard, or close to. Broken Trail is taken on a journey of self-discovery, wrought with danger, remembering the past as well as to the future there are many obstacles and decisions that he has to make along the way. When people from his past appear he has to deal with it along with people who mistrust him - he is white but dressed as a Oneida. There are three other books that revolve around the characters and time period which I hope to get to in the coming weeks. 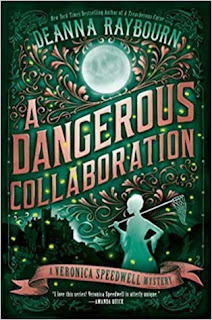 These are definitely books I recommend, especially for middle-grade ages, a perfect introduction to historical fiction and some of the events that shaped this country. This book is from my personal library and part of my reading off my shelf challenge for 2019. A Dangerous Collaboration is the 4th book in the Veronica Speedwell Mystery Series and it was such a treat to read! Pretty well continuing where A Treacherous Curse leaves off Veronica and Stoker are yet again thrust into another conundrum. Traveling to a secluded island, staying at a haunted house with some interesting characters is a recipe for intrigue, right!? Deanna Raybourn has cemented herself as a go-to author for me. Her writing puts a smile on my face. It's witty, saucy with the right blend of smart-alecky mixed in. Oh and yea an interesting mystery that needs to be solved. In this case, the location was yummy. A small island with an old castle - is it really haunted? 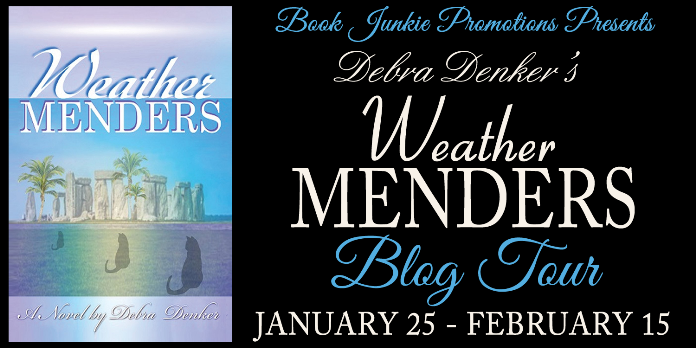 Stormy weather, a bride missing for 3 years and the icing on the cake would be Stoker’s brother along for the ride. Is he really an innocent bystander? You’ll have to read this little gem to find out. While I suppose you can read this one as a stand alone, but why? Start with A Curious Beginning and go from there. Clicking on the covers (below) will take you to my review, speaking of covers aren't they great? I love them. My thanks to Berkley for an advanced copy of this one (via Netgalley). 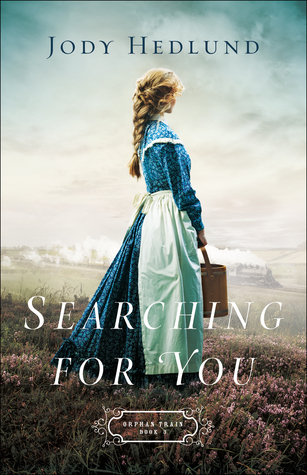 'A beautifully written historical novel with characters who linger long after the last page is turned.' - Hazel Gaynor, New York Times bestselling author of The Girl Who Came Home. It’s 1828, and Ireland is in turmoil as Irish tenants protest against their upper-class English landlords. Nineteen-year-old Bridget Muldowney is thrilled to return to the estate in Carlow she’ll inherit when she comes of age. 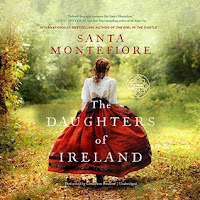 But since she left for Dublin seven years earlier, the tomboy has become a refined young lady, engaged to be married to a dashing English gentleman. 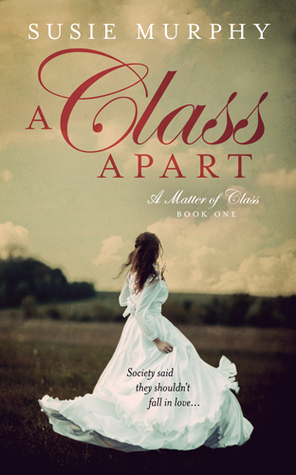 A Class Apart is the first book in Susie Murphy's historical fiction series A Matter of Class. 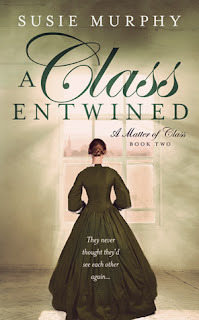 The second book is called A Class Entwined. Stay in touch! Sign up for my newsletter here. Connect on Facebook, Twitter, and Goodreads. A Class Apart is available on Amazon. The cover for A Class Entwined is out (as is the book). No am not sharing the blurb for fear of spoiling the ride if you haven't read A Class Apart yet (like me).